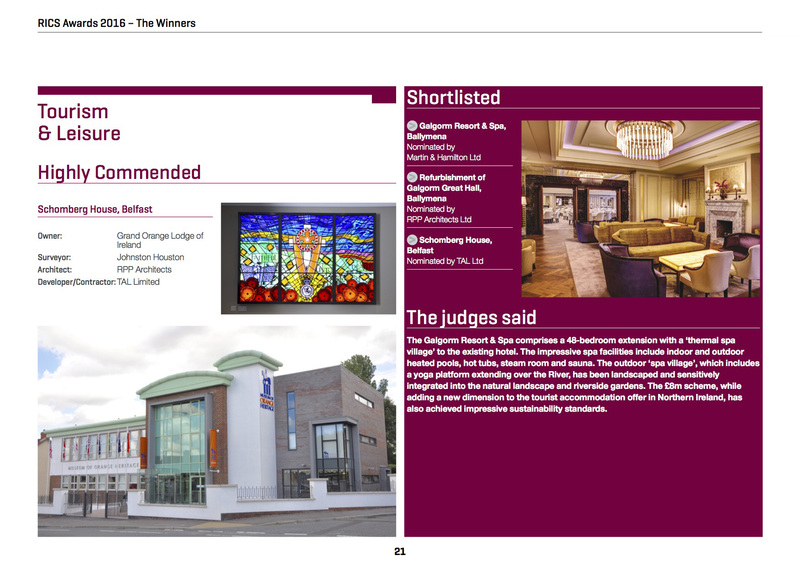 City Quays 1 wins the RICS award for the best commercial property development. 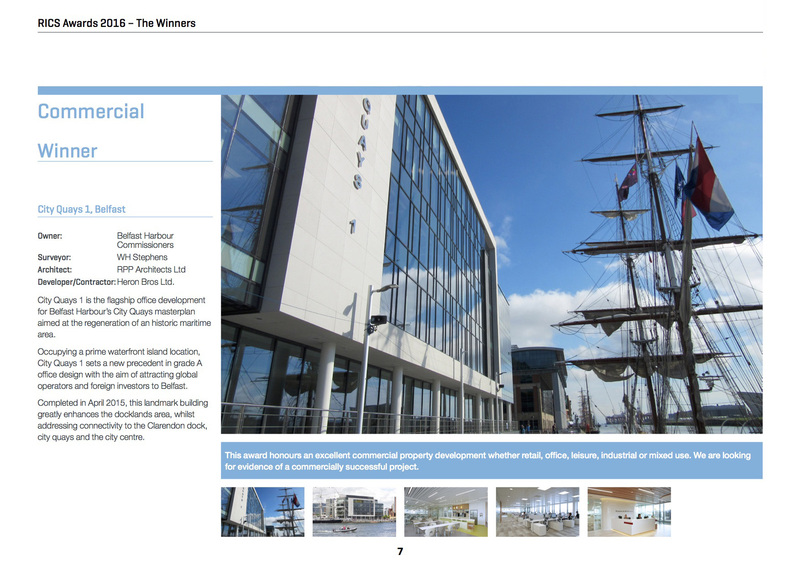 City Quays 1 is the flagship office development for Belfast Harbour’s City Quays masterplan aimed at the regeneration of an historic maritime area. Occupying a prime waterfront island location, City Quays 1 sets a new precedent in grade A office design with the aim of attracting global operators and foreign investors to Belfast. Completed in April 2015, this landmark building greatly enhances the docklands area, whilst addressing connectivity to the Clarendon dock, city quays and the city centre.